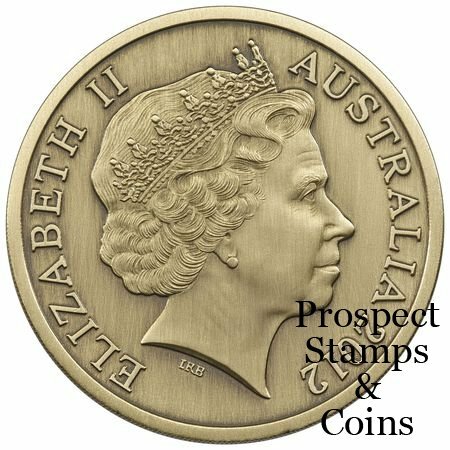 The Royal Australian Mint has produced a specially made coin for the 2012 Perth ANDA Show. 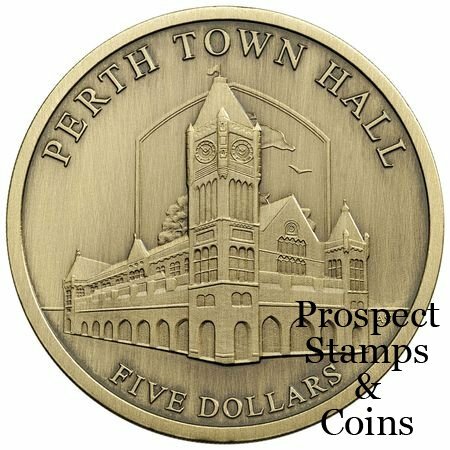 This exclusive coin depicts the Perth Town Hall. 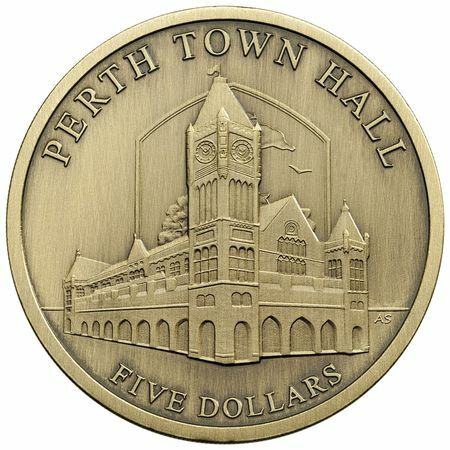 This antique uncirculated coin depicts the Perth Town Hall. The Perth Town Hall, built by free settlers and convicts between 1867 and 1870, reopened in 2005 after extensive restoration. The Hall now plays host to official receptions, exhibitions, public gatherings and functions – a far cry from its days as council chambers. The coin is presented in a postcard sized packaging with information on some of the history of the Perth Town Hall.